There are ten species and cultivars of jasmines in my gardens, and I want to share information about two very rare ones that are particularly rewarding. 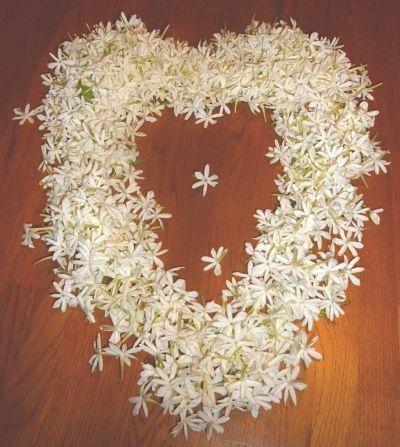 Jasmine auriculatum is a vine/bush with heady, green, sharp, somewhat indolic (if harvested at night) flowers. 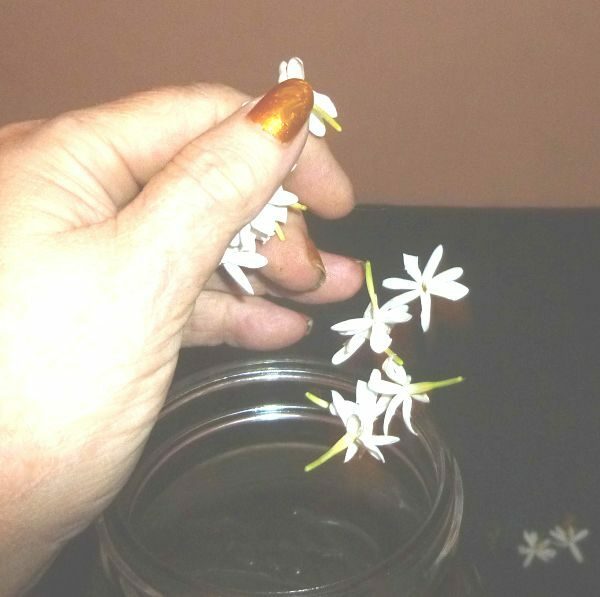 In India, this species of jasmine is called Juhi, and I first smelled the absolute in 1976 at the Magic Dragon shop in West Los Angeles. 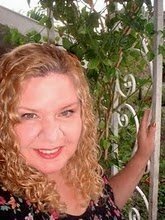 Here’s a photo of me with my young J. auriculatum vine in 2011. It was taken by my front door, but the auriculatum didn’t last there long – I had to move it. Why? Because around 10:00 PM at night, the scent would go so indolic, I thought a dog left a deposit by my front door! Sweet during the day, deadly stink at night, it had to be moved to the back fence, far from the house. The young Jasminum auriculatum vine by my front door – until it revealed its stinky night time scent. In the back garden, the transplanted vine grew into a huge bush, with a sturdy main trunk. My apprentice Brian recently harvested the flowers at 6 P.M., before the indole developed. Such a sweet, delicate scent, this flower is a true delight. Into the tincture jar it went, adding to the earlier harvests’ menstruum. Dropping some jasmine auriculatum flowers into the alcohol. The flowers can be harvested, tinctured, strained, and recharged daily. 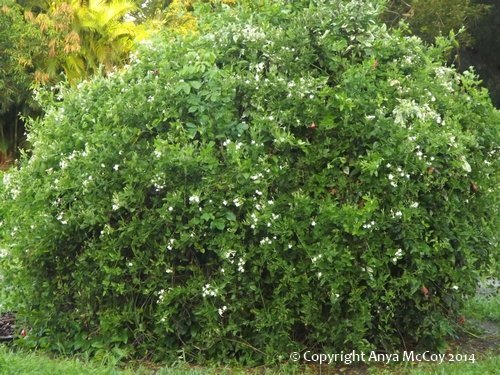 At the front of my property, greeting visitors as they walk to drive up the driveway, is a very aggressive Jasminum azoricum vine. It completely covers a huge hibiscus bush, and I explain by calling it the jasmine-hibiscus bush to confused viewers. This multi-branched vine is about ten years old, and without any supplemental fertilizer or watering, rewards me with flowers almost every day of the year. Like the auriculatum, the azoricum flowers are very fragile and star-like in appearance. The azoricum needs to be harvested by noon, because it cannot take the heat of the day. The jasmine scent is lightly accented by a vanilla note, making it particularly delightful. 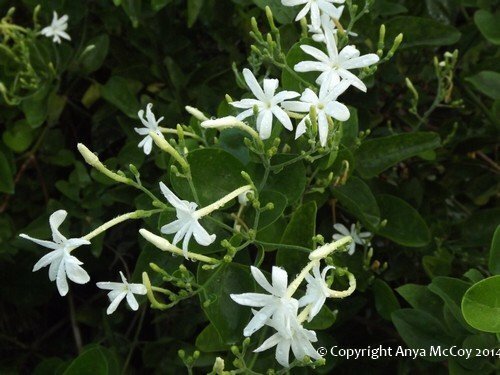 Jasmine azoricum flowers bloom year round! Sweet, gentle scent. The tiny flowers need a lot of patience in harvesting, and the yield is small, but, oh, so beautiful. 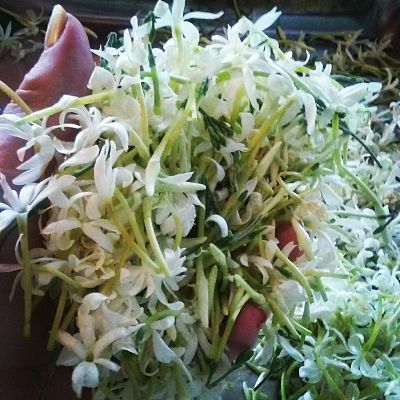 When all is said and done, it’s a wonderful feeling to have these two lovely, rare jasmines growing in my garden, because they go into the tincture bottle and provide a unique fragrance for my natural perfumes. This entry was posted in Anya's Garden Perfumes and tagged auriculatum, azoricum, jasmine on January 10, 2017 by Anya. 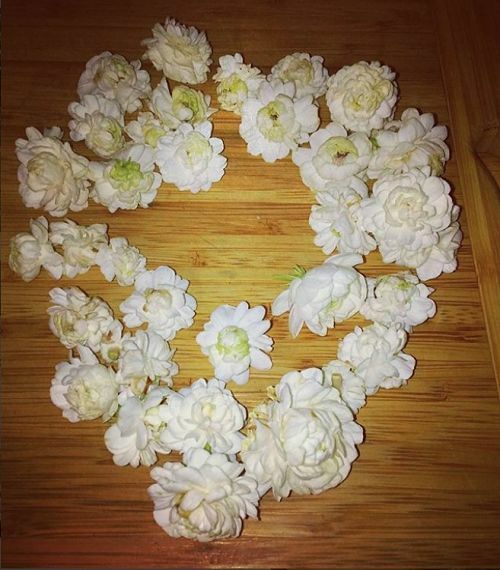 Jasmine and Gardenia flowers ready for making perfume! Jasmines and gardenias smell so beautiful in a cool, early Miami morning. Heavy with dew, this is little early to harvest them for enfleurage or tincture, because the sun needs to work its magic and burn off the dew and warm up the flowers, so they’ll release their scent. Jasminum grandiflorum on trellis. Hundreds of rare, beautiful smelling flowers. 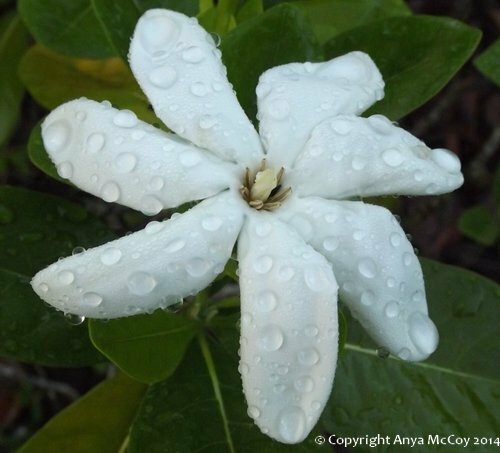 Tahitian gardenias, aka Tiare flowers, are very rare in the United States. A beautiful shrub of this fragrant beauty is on the path to my front door. Jasminium azoricum is very, very rare. The flowers smell like jasmine with a hint of vanilla. The vine is very vigorous, and has covered a big hibiscus plant, where they live in harmony. So, I have a hibiscus-jasmine shrub at the end of my driveway, measuring 10′ tall and 15′ wide. Jasmine azoricum vine covering huge hibiscus shrub. Look closely to see some red hibiscus flowers peeking out. Closeup of the delicate jasmine azoricum flowers. 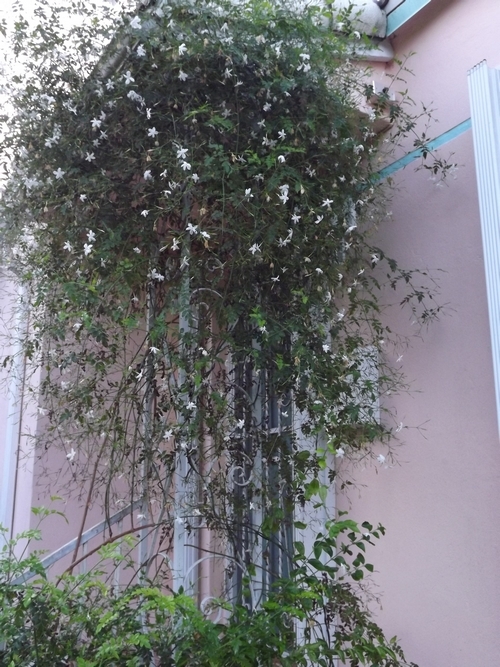 Jasmine azoricum flowers bloom year round! Sweet, gentle perfume scent. 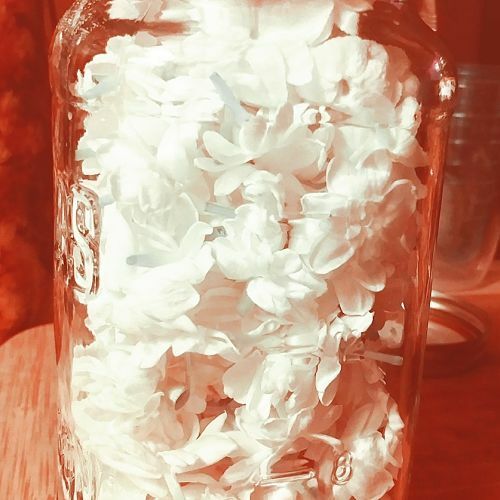 This entry was posted in Anya McCoy, Anya's Garden Perfumes, natural perfume, raw materials of perfumery and tagged gardenia, jasmine on August 22, 2014 by Anya.